I was thinking what to write in this post and couldn't think of anything smart. I guess I'm not very productive after the exams session. But I'm already writing something, so it's not that bad, right?? Actually, I'll better say something about avocado. I love avocado. 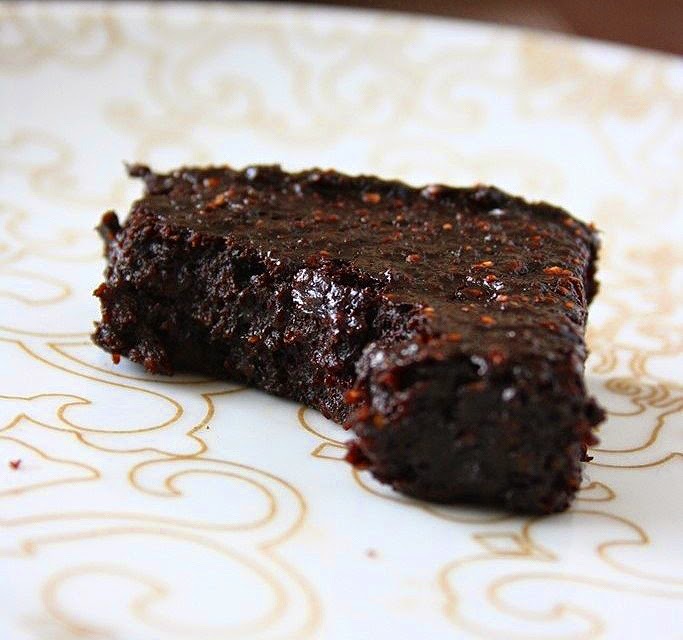 I especially fell in love with it after making Avocado Brownies last week. 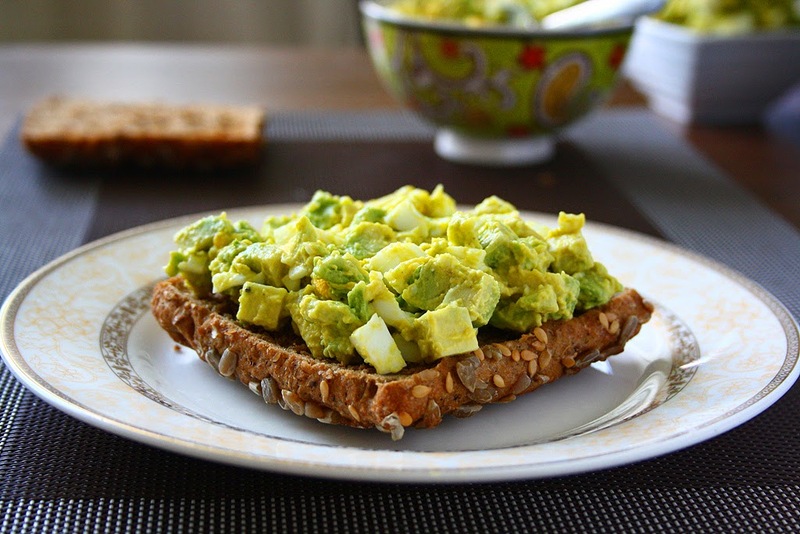 Well, let's discuss this avocado egg salad now. It's amazing. Why? Because there's no mayo in it, which means, it's skinny and healthy, and still tastes wonderful! I believe this would be perfect wrapped in tortilla or simply used as spread on a slice of bread. Or who said you can't eat it straight from the bowl? 1) Cut avocado into small/medium cubes and mash some of it. 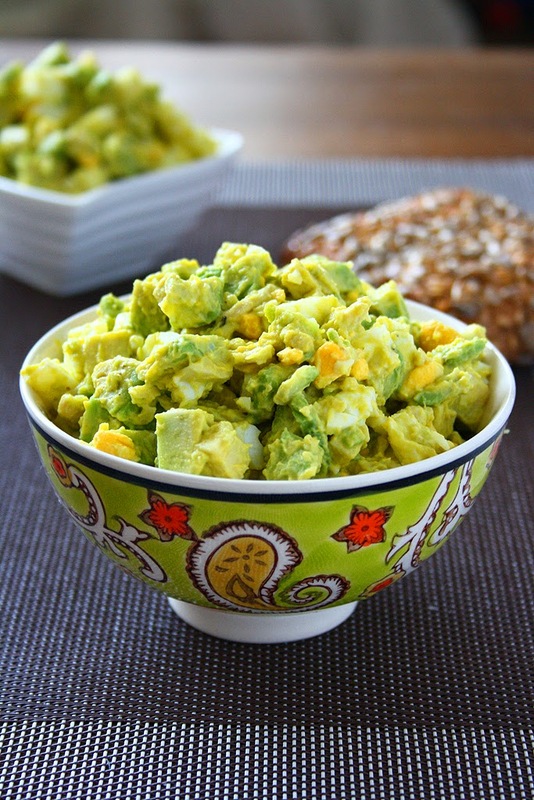 Cut egg into small cubes and mix with avocado. Mince garlic and mix together with avocado/egg. 2) Add Greek Yogurt and mix with a spoon, mashing avocado and egg a little bit. Season with salt and pepper. I've been trying to healthify some of the foods I make quite often recently. And sometimes I still can't believe that healthy food can taste so good. 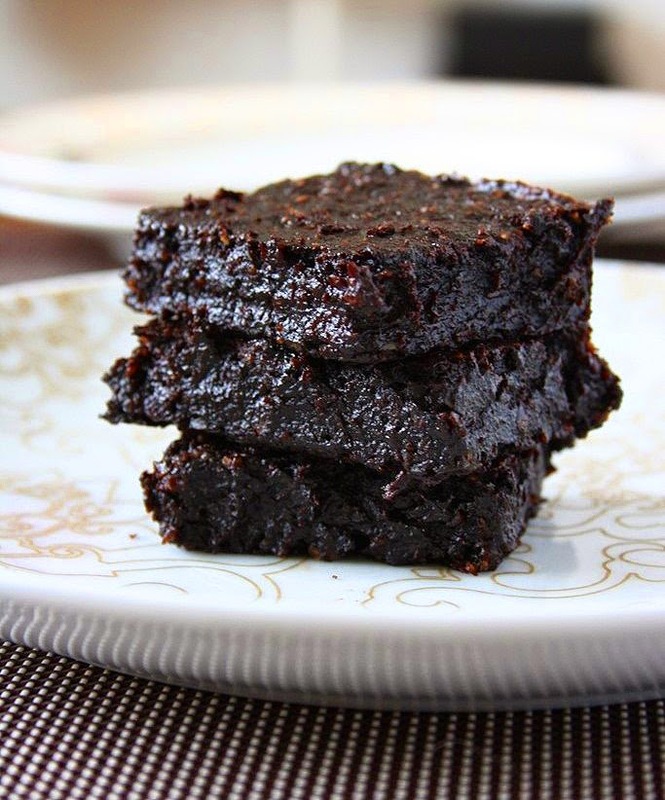 There's no surprise that the web is full of recipes with strange ingredients, for example, brownies with black beans or applesauce. No way, how can you make brownies without butter? And, how can you put avocado in it? It should taste horrible. But, you know, I think it's unbelievable how healthy ingredients can be incorporated in our favourite fatty desserts without any unwanted taste. Science! And then, one day, I decided to make avocado brownies. While they were in the oven, I was very sceptical. But I was so curious to try them that I didn't even let them cool down. When I tasted them, my mind was blown out. They were the fudgiest and the most amazing brownies in the world! With no eggs, no flour, no refined sugar, no butter!! The next day I made them again and I will be making them again and again! The most surprising thing was that they came out perfectly on the first attempt. There's nothing to be added. And believe me, you can't taste any avocado. You better stop reading and mix up a batch of these. 1) Preheat oven to 180C. Prepare a 8x8 inch/20x20cm sicilone baking dish (or if using a metal one, line with parchment paper). Set aside. 2) In a large bowl, mix together mashed avocados, brown sugar, and melted coconut oil. Add cocoa powder, instant cofee, salt, vanilla sugar and mix to combine. Add ground oats and mix just until combined. 3) Bake for 20 minutes. Cool at least one hour before slicing. ENJOY! It's been a long time since I've made oat bars. And only now I realize that I actually felt like something was missing in my life. I really can't live without oat bars. Really. I'm not sure if I like something more than these. So you can imagine how happy I was when I made a batch of these peanut butter & honey bars after such a long time. They were a-m-a-z-i-n-g! And can you believe that they only consist of three ingredients? (well, salt is not necessary so I leave it out. Three ingredients sounds more impressive than four). They're sweet, chewy and sooo healthy. Have 5 minutes? Go and mix them up. Now. *I used homemade. I toasted peanuts in a saucepan and ground them in a food processor until they turned into a creamy peanut butter. Homemade PB tastes much better! 1) Prepare a 20x20cm silicone baking dish. If using a metal one, line with parchment paper. Set aside. 2) In a large bowl, place oats and salt. 3) In a small saucepan, melt peanut butter and honey. 4) Pour it over the oats and mix to combine. Press the mixture into the pan and leave for at least 2 hours to set (If you are impatient - place in the fridge for 30 minutes). Slice and enjoy! Yes, I know! It's not the best time to post pumpkin recipes as the pumpkin season has ended quite a long time ago. But I can't keep this recipe unpublished any longer. We all know how good pumpkin recipes are. 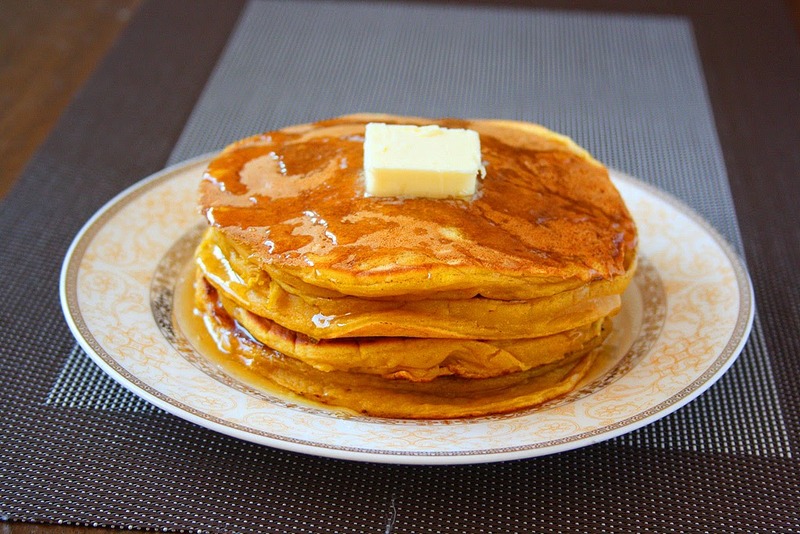 And I'm sure we all love thick and fluffy pumpkin pancakes. I am also sure that we all love pumpkin pie. What about a combination of these two? 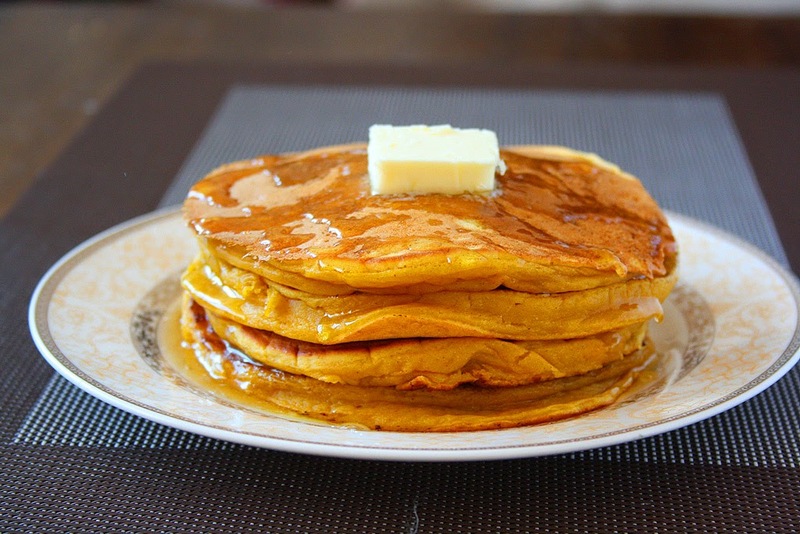 A pumpkin pie in a pancake form! 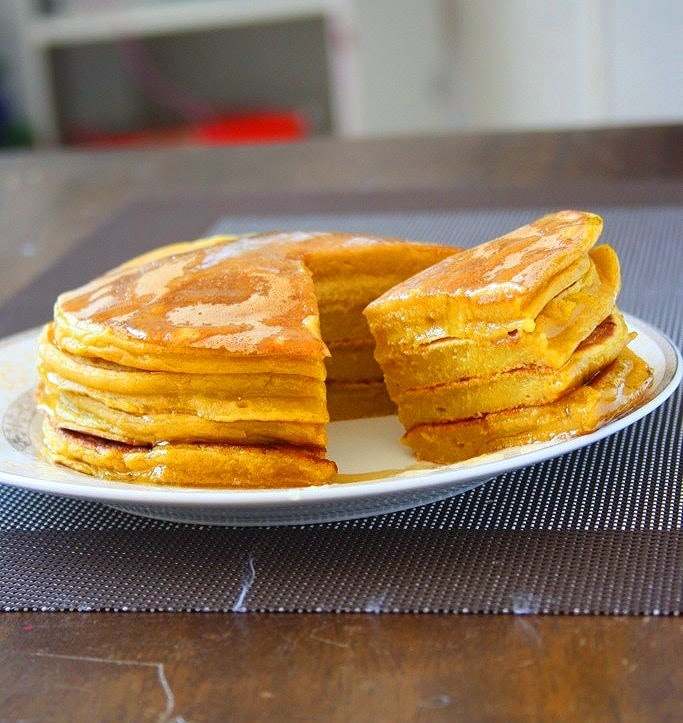 These really have a texture of a pie and at the same time they're thick, soft and a little bit chewy pancakes. And who cares it's not a pumpkin season anymore? You can always find pumpkin at a supermarket. Or you can save this recipe in your to-bake list for the upcoming fall. But will you be able to wait so long?? 1) In a large bowl, combine together flour, sugar, baking powder, cinnamon and ginger. 2) In a small bowl, lightly beat the egg. Add pumpkin puree and milk and stir to combine. 3) Fold the wet ingredients into the dry ones and mix just until combined. 4) Heat butter on a skillet. 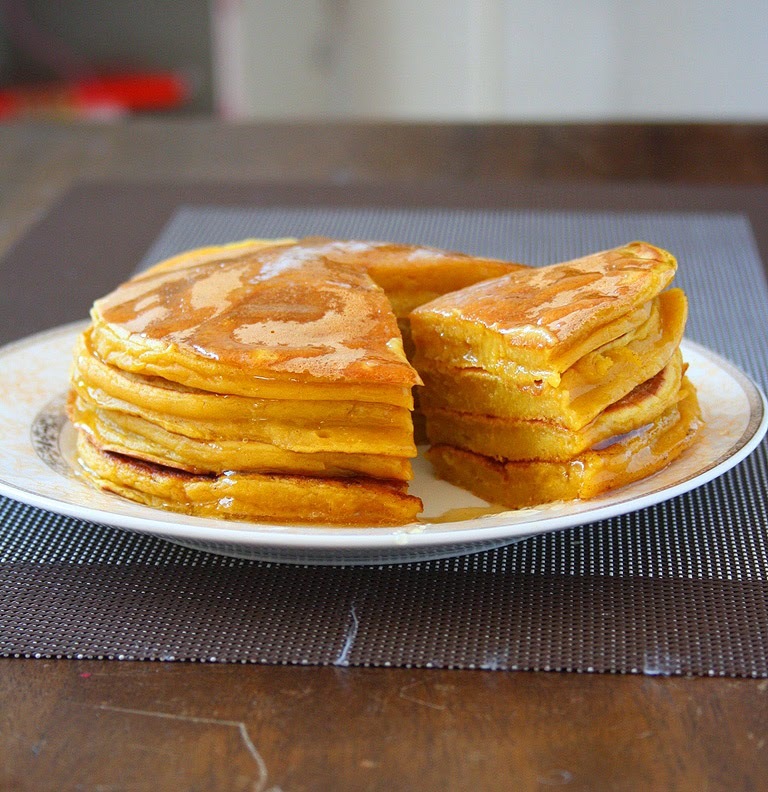 Fry pancakes on low heat for a few minutes on both sides until lightly browned. Serve immediately with additional butter and a drizzle of honey.